Designers are often faced with the question of how to balance personal creativity with commerce. Tai­chung makes that balancing act a bit easier. Its relatively low rents and labor costs, and Tai­pei-comparable competitive pressures, make it more accommodating to experimental spaces, enticing young designers to build their businesses there. These young creatives are renting apartments in the city, opening unique creative and cultural businesses, and connecting with and encouraging one another. The Taiwanese expression “hang-a-lai” refers to an expert, someone who is in the know. 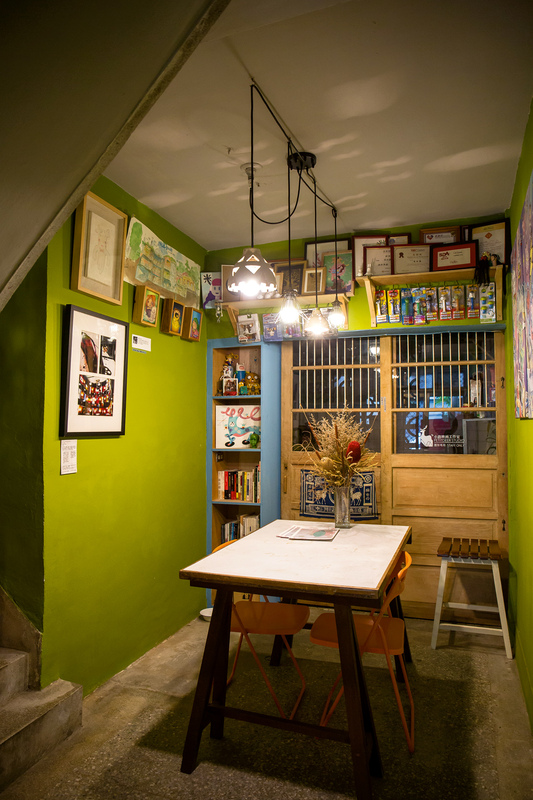 It’s an apt name for Tai­chung’s creative and cultural industry hotspots. Centered around the National Taiwan Museum of Fine Arts, the hang-a-lai areas include the city’s West District and its Da­rong Street commercial district. Creative and cultural enterprises ranging from private chefs to art galleries, coffee shops, studios, and boutiques dot the surrounding lowrise residential neighborhoods, giving rise to something very much like a mini creative‡cultural platform. Happy surprises lurk around every bend. Less highly commercialized than Tai­pei, the city’s makeup retains traces of traditional village culture. And while Tai­pei’s creative and cultural workers often go it alone, those in Tai­chung for the long haul have to take the time to weave extensive interpersonal networks that will not only provide them with information and resources, but also facilitate cooperation. Tracing the threads of these interpersonal connections reveals the patterns in the fabric of the city’s creative and cultural industry. 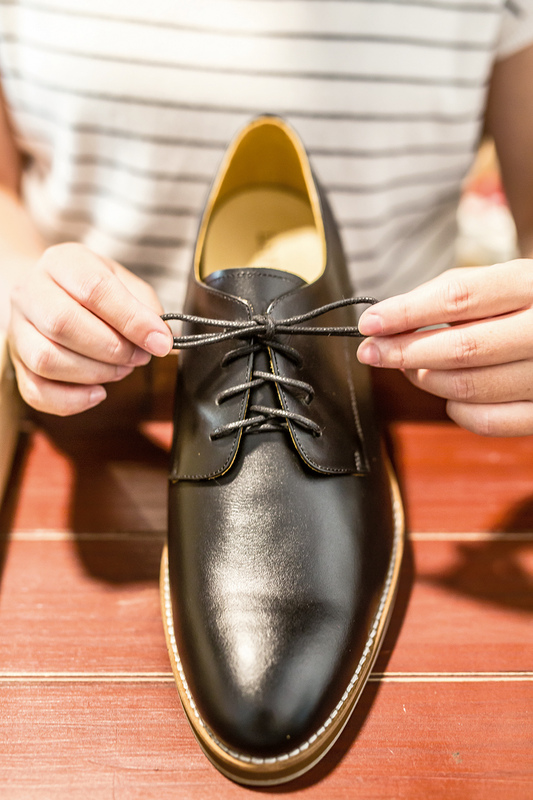 Rita Ho and Reean Jan used to work together at a Tai­chung shoe manufacturer, where their duties coordinating with OEM customers and raw materials suppliers gave them a thorough grasp of the shoemaking process. After the company announced its closure, the two women went on to establish Laney Shoes in 2014. 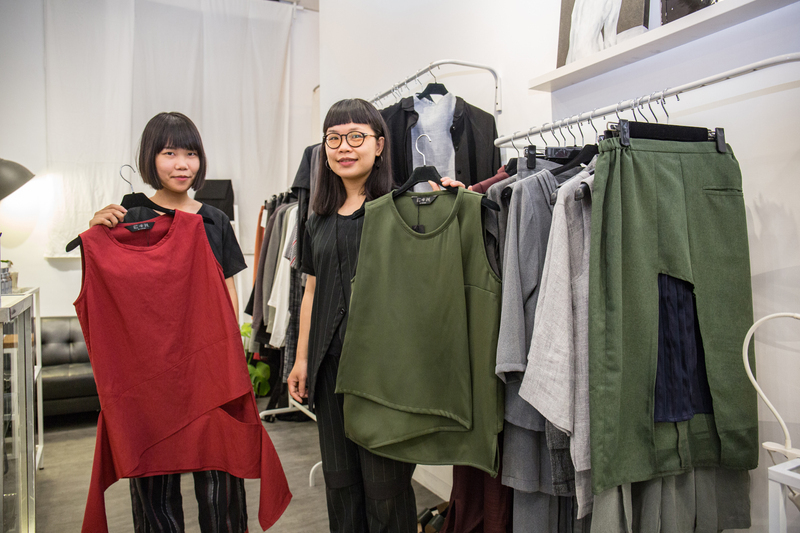 Chen Yun­han, manager of the Art Museum Parkway commercial district association, helped them arrange to share a storefront on Wu­quan 8th Street with leather-goods maker Sen­sia­shu, giving rise to a leather studio with a rich array of products. 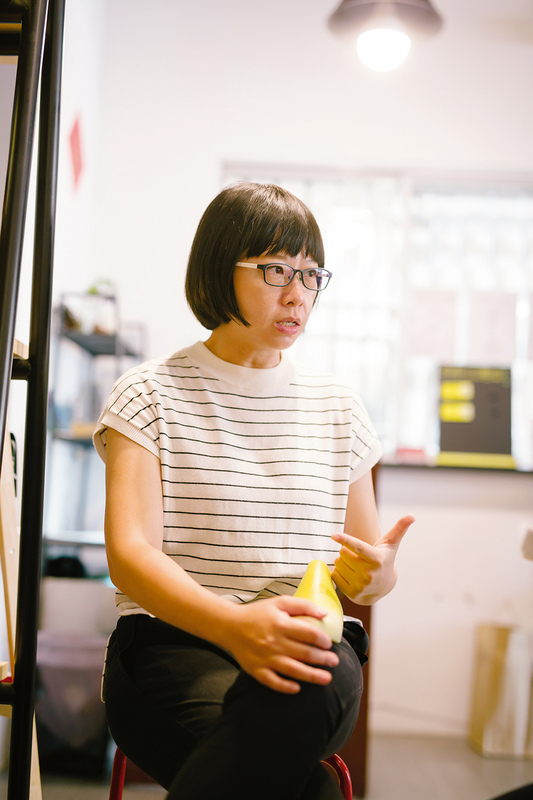 Maggie ­Chang, founder of Vingt Six, produced her first shoulder bag, one shaped like a skirt and featuring a soft exterior and firm interior, to meet her own needs. She went on to open a stall, take the bag to market, and forge connections with other young designers in her field. The young designers shared ideas and information among themselves, and then rented a studio together. Their friendly relationship and mutual support eventually led to ­Chang selling her products overseas, and, in 2016, opening a designer boutique: O.Office. Central Taiwan has long been the heartland of Taiwanese manufacturing. 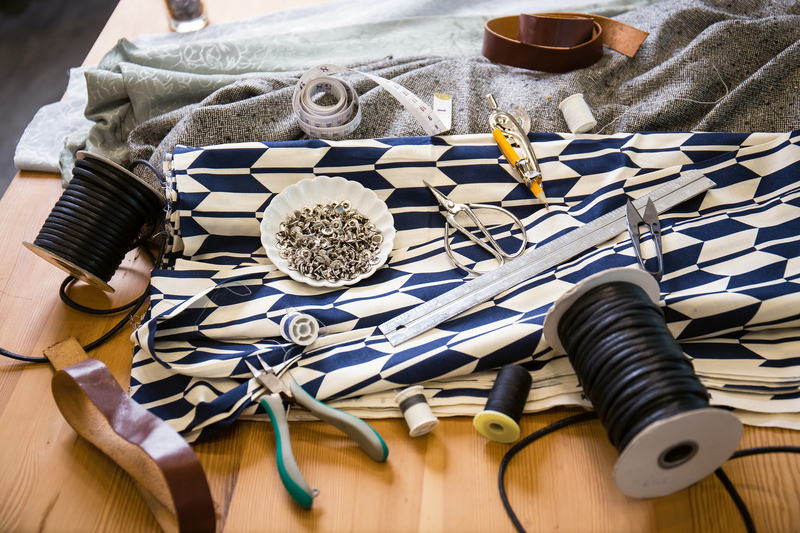 Back in the heyday of Taiwanese OEM manufacturing, the area was filled with leather, fabric and hardware makers generating large amounts of income from abroad. Though most of these producers have since moved overseas, a few remain and continue to provide a variety of items and high-quality materials at low cost. These products not only save the young designers and their brands money, but also get their creative juices flowing. The manufacturers themselves offer them still another resource: the deep understanding of production methods that their older workers possess. Access to these workers enables young designers with contemporary sensibilities to further the development of traditional crafts and involves young people in keeping these crafts alive. The clothing and shoes they help make contain echoes of the manufacturing glory days of yore. Ho named her brand “Laney” to evoke a sense of the “insidery” nature of the craft‡design field. She and her peers operate micro-brands characterized by their sale of highly designed products in low volumes. But how do they highlight the detailed craftsmanship at the core of their brand values? In Ho’s case, her more than a decade of involvement in shoe manufacturing has given her a deep understanding of every aspect of making shoes, from the selection of materials to the actual production. One facet of that understanding is that leather’s elasticity is directional: it gives in the directions the cow from which it came moved. When manufacturers mass-produce leather shoes, they focus on speed and keeping costs down, and typically ignore the orientation of the leather. This means that their shoes often become stretched out as they age, sometimes to the point that the wearer’s heel may pop out. In contrast, companies producing shoes by hand can take the grain of the leather into account, making the shoes much more expensive, but also much more malleable. 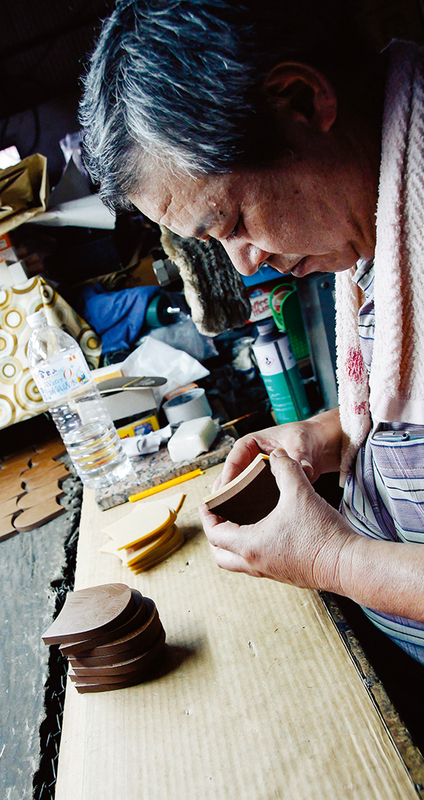 Ho says, “Many people think that ‘handmade’ is the same as ‘custom made,’ but shoes that have good malleability shape themselves to the wearer’s feet, which disproves the myth that Asians have wide feet. Taiwan’s textiles industry has long manufactured fabrics of outstanding quality for international brands, giving today’s designers easy access to a variety of textiles at prices that are just 60‡70% of their cost overseas. Originally an interior designer, Maggie ­Chang has since moved into textile design, where she uses her acute sense of 3D space to observe how fabrics change shape when clasped. In her signature products, ­Chang takes advantage of the droop of pleated chiffon to create cloth bags that feel substantial and a bit rumpled. Vingt Six’s most iconic bags are made from a premium chiffon produced in Taiwan. Born and raised in a center of Taiwanese textile production—He­mei Township in Chang­hua County—Maggie ­Chang makes a point of checking out fabrics in other textile hubs when she travels abroad, but invariably concludes that Chang­hua’s products better suit her needs. “Our skirt-style bags are mainly made with soft chiffon. It doesn’t wrinkle easily, and because the needle count is high, if it snags on something, you can fix it by just trimming it and giving it a little pull. It’s not like most chiffons, which tear all the way through when something gets caught.” Many travelers come from Hong Kong and Macao just to shop, and she shows them how to pack their purchases so they don’t become wrinkled or creased. Sisters Yang Chun Chun and Yang Yun Han say they both like outfits, but even after living through years of changing fashions, still have trouble finding styles that suit their small physiques. They began learning patternmaking and then invested their hopes and ideas into their C+H brand. Their style focuses on strong colors—black, white and gray—and irregular, geometric trims, giving a sense of soft exteriors hiding strength within, and creating different looks from the front, back and sides. The edges of C+H’s clothing are first flattened, hemmed using an overlock to prevent fraying, then sewn again. It makes a sturdier hem than that on mass-­produced clothing, for which the stitching processes are combined to save time. The value of a designer’s brand is determined by the meticulousness of its craft and the uniqueness of its designs. 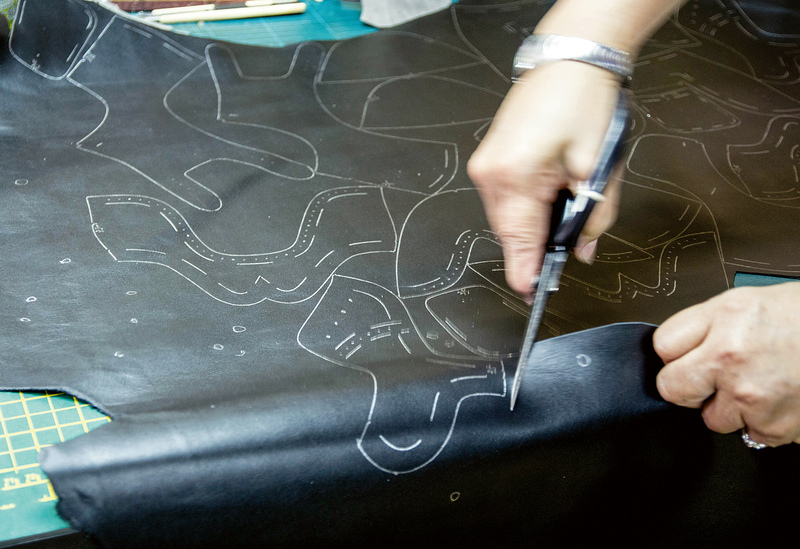 ­Chang notes that the creases in her skirt-style bags are created by hand. She explains that making them quickly with a machine would make the fabric too flat and eliminate the bags’ “fluffy” feel. She has applied for a patent on her creasing method. Taiwan has myriad creative and cultural brands, all developing their own visions of the industry. 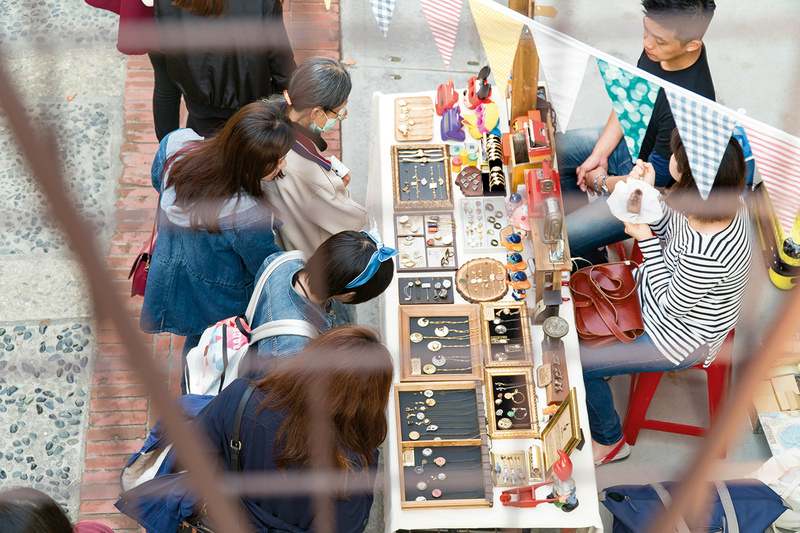 Tai­chung’s geographic advantages and the city government’s program to cultivate creative young entrepreneurs are invigorating the city’s creative and cultural scene. And with young designers communicating with one another and becoming inspired, that scene is flourishing.